The CARLMAN at Boys Read Boys Rule has Holiday Blasts From The Past. Take a look at these picture books that are great for all ages. Kitty Cat at the Library is back with a review of Magnus Chase—The Ship of the Dead. Karen Yingling always has some awesome MMGM Picks. She reviewed quite a few holiday themed books the past week. 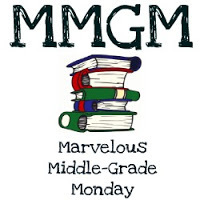 I’ve had a fun two months hosting Marvelous Middle Grade Monday. Thank you to all who participated—look below for a link to each of your great blogs. Take some time out from the holiday rush and visit these sites again to catch anything you may have missed. HAVE THE MERRIEST OF HOLIDAYS AND A HAPPY NEW YEAR!